As the manufacturer of nano ceramic coatings, our main focus has been the marine market in South Florida. But we often get asked by our customers if we apply coatings to cars, and the answer is YES! Glidecoat also offers an Automotive Ceramic Coating that will give your vehicle a showroom shine while protecting the paint from the elements for up to 2 years! Tracy Hall and her husband John are owners of a boat yard in Pompano, FL. In July we completed a Glidecoat ceramic coating application on a 2017 Robalo in John and Tracy's boat yard. 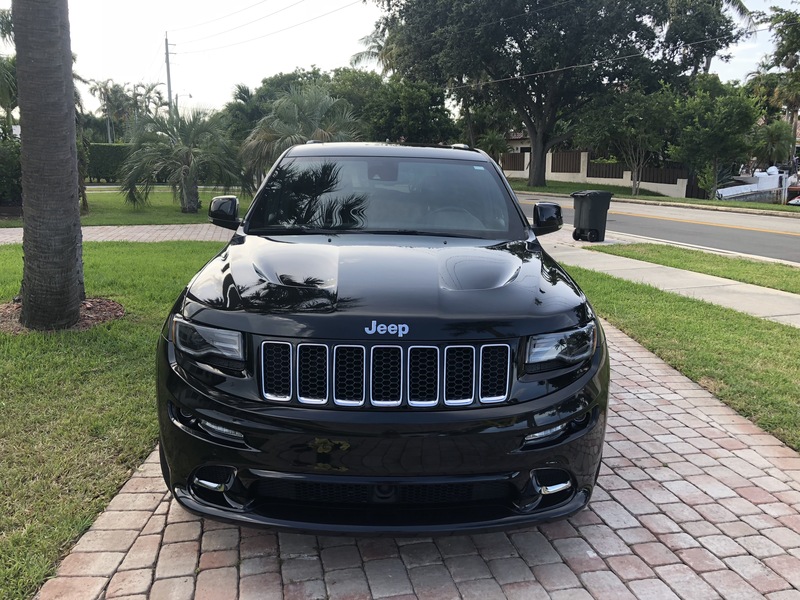 Once the application was complete, they were amazed at the results, so they wanted to get their 2016 Black Jeep Grand Cherokee SRT coated with Glidecoat's Automotive Ceramic Coating. Living near the ocean is great, there is no shortage of activities or waterside restaurants to visit. But if you live near the ocean you know that the salt in the air takes its toll on everything, especially the paint on your car. Nothing looks better than a clean, shinny black vehicle. The major problem with owning a black vehicle is that it shows every little imperfection and spec of dirt. Because Tracy is always around the water, her vehicle suffered from water marks and salt deposits on the surface, which were very visible on the black paint. 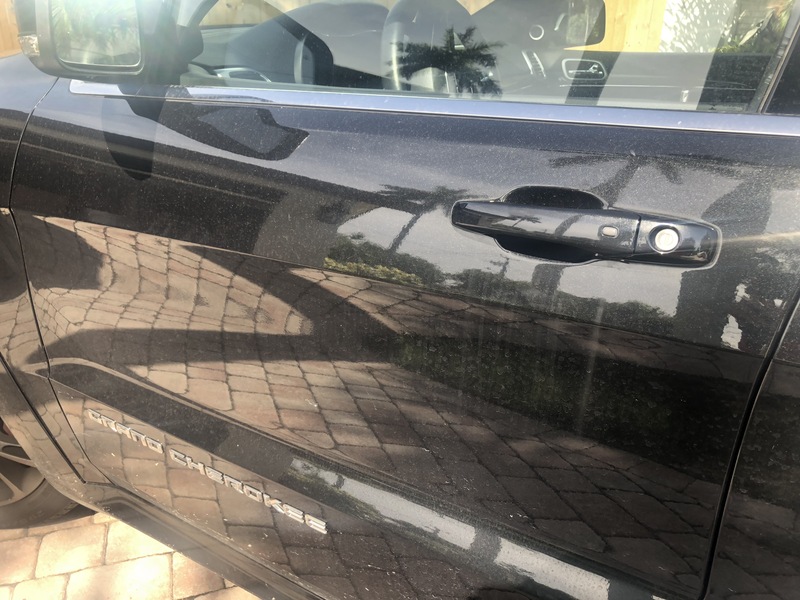 The challenge in owning a black vehicle, or any dark color, is not only keeping the vehicle clean, but assuring the you are properly protecting the surface from the elements. This is why you need Glidecoat's Automotive Ceramic Coating. 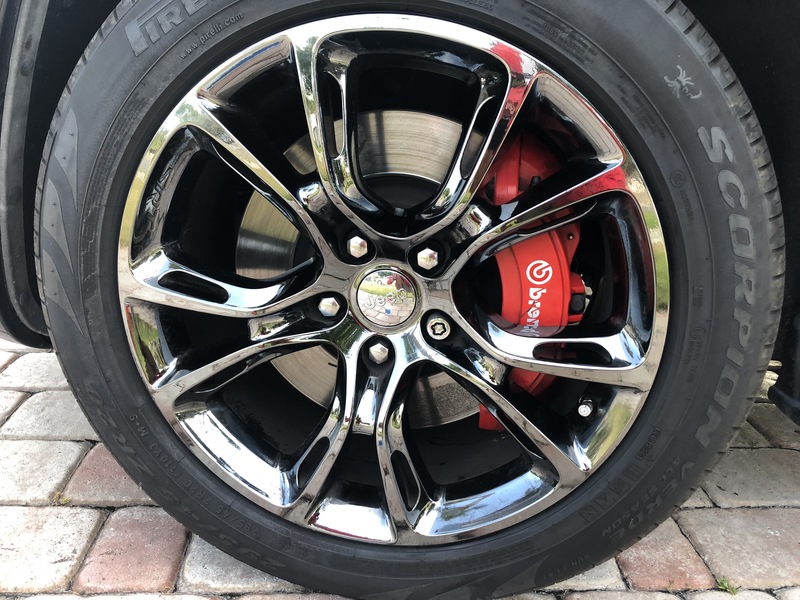 Rims are the toughest area of a vehicle to keep clean. They are constantly covered in dirt and brake dust. 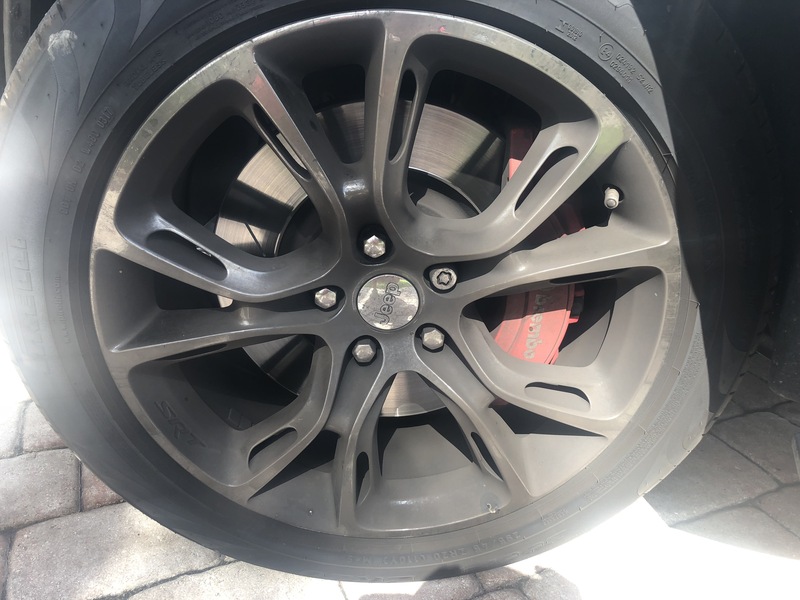 The first step in the Glidecoat Automotive Ceramic Coating application is to wash the entire vehicle with Nano Wash, removing all dirt, salt and break dust from the surface and rims. Once the vehicle was clean, the next step was to polish the paint to remove the light surface scratches and water marks. We used a random orbital buffer, a foam bad and Nano Polish. This step restores a deep shine to the paint, preparing the surface to be protected and enhanced with Glidecoat's Automotive Ceramic Coating. Immediately before applying the ceramic coating, we sterilize the paint with Surface Wipe. The final step of the application process is applying two coats of Glidecoat's Automotive Ceramic Coating. Working in 2 foot by 2 foot sections, we apply a dime sized amount of ceramic coating onto the application sponge, working the coating across the entire section. Once the coating is applied on the surface we use two microfiber towels to buff the coating into the pores of the paint, while removing any excess coating. We repeat this step across the entire vehicle, again applying two coats to ensure the best possible results and that showroom shine! The gloss and shine of the paint speaks for itself! 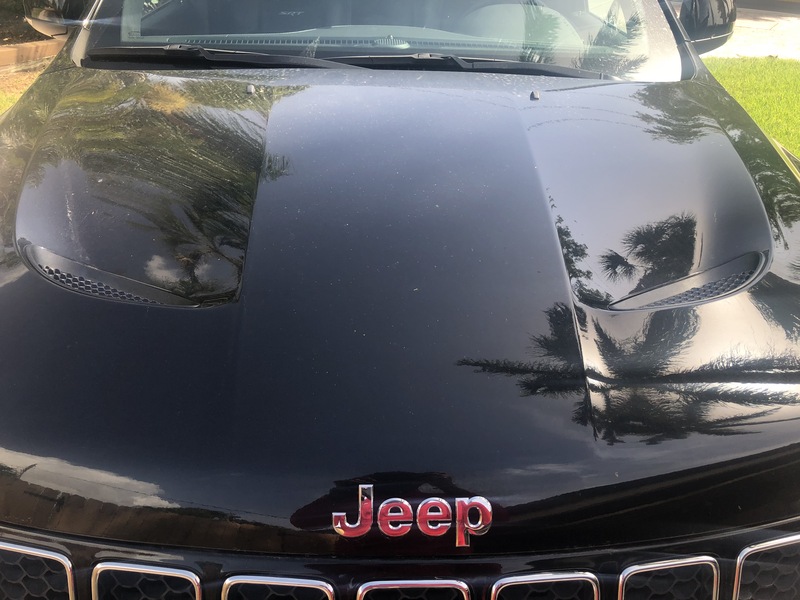 Not only does the Jeep look like it just came off the showroom floor, it is now properly protected from the elements and making the vehicle super easy to clean. Glidecoat's Automotive Ceramic Coating fills in the pores of the paint, bonding directly with the surface and creating a hard barrier. This prevents UV damage and doesn't allow dirt, salt or other contaminants to penetrate the surface. Whether you have a light colored vehicle or dark, if want your car to shine like never before and give it the best protection, give Glidecoat Automotive Ceramic Coating a try! The gloss meter reading before the Glidecoat application process was 85.4, after applying the Automotive ceramic coating the gloss meter readings jumped up to 95.6! 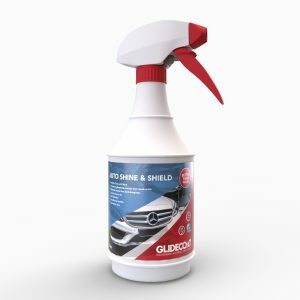 Auto Shine & Shield fills microscopic scratches and nicks in your car's body to have a nice luster and a smooth clean appearance which is also UV resistant. 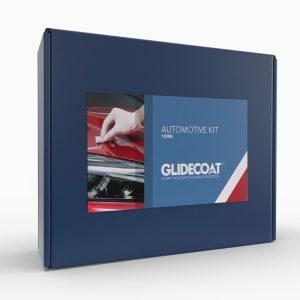 Glidecoat Auto Kit is all you need to provide a long lasting shine that is quick and easy to apply and repels dirt, salt, road contaminants, bugs, stains and rain, providing the best protection for your vehicle.